Sarah had never given much thought to nursing homes. All she knew about them was that her father did not want to go to one. He had made his intentions clear on many occasions. As her dad got older, Sarah and her siblings resolved that if anything ever happened to him, they would work together to take care of him at home. No one looked at long-term care options, and no one worried about paying for nursing home care. Then, when Sarah’s dad was 75, he suffered a series of strokes. At first, the family struggled to take care of him on their own. Before too long, though, it became apparent that he needed more care than they could provide. A nursing home was their only option. Sarah did her research, and found a nice place nearby. When she found out how much her dad’s room would cost, she was rendered speechless: $91,000 a year! She was even more shocked to find out this was about average for California. Dad had always been a diligent saver, and he had hoped to pass a small inheritance on to each of his children. However, after three years in the nursing home, the savings he had worked a lifetime to build had vanished. So had his children’s inheritances. At this point, Sarah helped him apply for Medi-Cal. He qualified, and his Medi-Cal benefits picked up where his savings had left off. Not only did they lose life savings but the state “recovered” dad’s house after his death to reimburse itself for money it had spent on dad’s care. What Sarah and her dad didn’t know was that he didn’t have to impoverish himself in order to qualify for Medi-Cal…and neither do you. Additionally, their home could have been preserved for the kids without jeopardizing Medi-Cal benefits. The need for nursing home care does not have to catch you off guard. A visit with a qualified estate planning and elder law attorney – one who has experience helping families sort through their long-term care nursing home options and understands how the Medi-Cal program might apply to your situation – can help you understand the choices available to you and prepare for the future with a clear plan for how to pay for a nursing home without going broke or losing the family home. One of those choices is a special kind of trust called a Medi-Cal Income-Only Trust. To understand why it is an effective option, you first have to know a little bit about how Medi-Cal qualification works – and why the Medi-Cal program is the best alternative for families paying their nursing home bills. Long-Term Care Insurance: Long-term care insurance is gaining popularity as a means of paying for nursing home care. It has a number of advantages. For example, many long-term care policies pay for services like home health care, instead of limiting coverage to nursing homes or other extended care facilities. However, in order to qualify for long-term care insurance, you have to be healthy. And even if you plan far in advance and purchase a policy while you are relatively young, premiums can be expensive. This may be why there are still relatively few people – currently about 8 million Americans – who have long-term care insurance. Medicare: Many people assume that Medicare will pay for nursing home care. The truth is, Medicare provides very limited long-term care coverage; up to 100 days of “skilled nursing” care per “spell of illness.” Because of the way these terms are defined, many Medicare recipients who need nursing home care receive fewer than 100 days of Medicare coverage. Medi-Cal: With the costs of nursing home care too high for most people to fund on their own, Medi-Cal has become the default long-term care insurance plan for the middle class. The Medi-Cal program provides healthcare coverage for certain groups of people (including those over age 65) who have restricted incomes and resources. The federal government provides partial funding for the program and it sets the overall Medi-Cal guidelines. Each state interprets and applies the guidelines for its own residents, meaning that the exact criteria you must meet to qualify for Medi-Cal can vary from one state to the next. Veterans Benefits: Certain veterans and their surviving spouses may be able to obtain some financial assistance from the VA. However, it is critical to seek expert legal advice before planning for VA benefits so as not to negatively impact the chances of obtain other public benefits, including Medi-Cal. After you have demonstrated that you medically need nursing home care, you must pass a means test in order to qualify for Medi-Cal. Under the means test, your income and certain assets are scrutinized to make sure that they are below the state eligibility limits. Currently, to qualify for Medi-Cal, you are permitted to have no more than $2,000 in countable assets. If you are married, your spouse who does not live in a nursing home (called a “community spouse” under Medi-Cal guidelines) can typically keep half of your joint countable assets up to a maximum of $123,600 in 2018. To keep Medi-Cal applicants from giving away assets in order to qualify for benefits, the federal government has enacted what is known as a look-back period. Currently, when you apply for Medi-Cal, your financial records for the previous thirty months can be examined, and asset transfers that violate the rules will trigger a penalty. The penalty is a delay in Medi-Cal benefits for a certain number of months. The number of months is determined by dividing the value of the transfer by your state’s average monthly cost of nursing home care. Mark gives $80,000 in stock to his daughter. Two years later, Mark suffers a stroke and needs to enter a nursing home. When he applies for Medi-Cal, the $80,000 transfer is divided by $8,841 (the approximate average monthly cost of nursing home care). $80,000 divided by $8,841 equals about 9, so Mark’s benefits will be delayed by 9 months; he will have to pay his nursing home bills out-of-pocket for this length of time. Medi-Cal also applies income limits to nursing home residents and their spouses. Currently, a nursing home resident is permitted to keep up to $35 per month in income. If your income exceeds the maximum, the excess is paid to the nursing home as a contribution toward the cost of your care. If you are married, your spouse is generally allowed to keep his or her full income; it is not factored into the Medi-Cal calculations, and in most states your spouse is not required to contribute any portion of his or her income toward your nursing home bills. One goal of Medi-Cal planning is to work within the Medi-Cal guidelines to convert enough of your countable assets into exempt assets that, when the time comes for nursing home care, you qualify for Medi-Cal benefits. Medi-Cal pre-planning involves working with an experienced and qualified estate planning and elder law attorney while you are still healthy, far in advance of any need for nursing home care. With enough time, your attorney can help you transform your countable assets into exempt assets in a way that optimally benefits you and your family, and do so outside of the current thirty month look-back period. He or she can also help you avoid recovery of your assets by your state Medi-Cal agency, preserving those assets so that they can be passed on to your children after you and your spouse are gone. When you engage in Medi-Cal pre-planning, there are a number of strategies you can use to protect your assets. One approach is to transfer your assets to a family member or a close friend and ask that person to safeguard your property and use it for your benefit. Another approach is to establish a trust that meets Medi-Cal guidelines and transfer your property into the trust. For example, in order to meet Medi-Cal guidelines, a trust must be irrevocable (if you have already established a revocable living trust for probate-avoidance purposes, it won’t work), and you, as the trust’s grantor, can only have access to the trust’s income – not the principal. Why use a Medi-Cal Income-Only Trust instead of making a direct transfer of your property to your child, another relative, or someone else you trust? Let’s look at Anne and her son John to see the benefits. Anne is 70 years old. She is recently widowed and has one son, John. At the moment, Anne is in perfect health. However, she has a family history of Alzheimer’s disease, and she worries that she might need nursing home care in the future. She also worries about how she’ll pay for nursing home care. Anne has $300,000 in savings. Too little to pay for a long nursing home stay, but too much to qualify for Medi-Cal. Anne’s son, John, is very financially responsible and he is extremely loyal to his mother. Anne wonders if she should just give the $300,000 to John. As long as she stays healthy for at least thirty months under current California rules, she won’t have to worry about the Medi-Cal transfer penalty, and she knows she can count on John to use the money to take care of her. When you transfer property directly to another person – even to someone you trust a great deal – you put yourself at risk because you lose control over the property. What if John has guests in his home and one of them slips and falls? If the guest sues John and wins a judgment for more than the limits of his homeowner’s insurance policy, that guest turns into John’s creditor. He or she can then collect John’s property – including the money given to John by Anne – to satisfy the judgment. What if John’s wife files for divorce? If John has deposited Anne’s $300,000 into his family bank account or otherwise mixed it with his wife’s money, then Anne’s money could be treated as a marital asset. This means that John’s ex-wife could walk away with part of Anne’s money as part of the divorce. What if John dies? The moment Anne gives her $300,000 to John, it becomes his money. In the event of his death, the terms of John’s Will control who inherits the money. The money might go to John’s wife, one of his children, or to another family member or friend. The question is, would this new person feel the same sense of loyalty and responsibility to Anne? Instead of giving John the $300,000, Anne can put the money into a Medi-Cal Income-Only Trust naming John as both the trustee and the beneficiary of the trust. Anne can retain the right to receive income from the trust, and she can retain certain limited powers over the trust, such as the power to substitute trustees or the power to substitute beneficiaries. This solution means that Anne avoided giving away everything and becoming dependent on John. Not only is Anne guaranteed an income stream from the trust, the trust assets are shielded from John’s creditors and from other misfortunes he might encounter. Another potential problem with a direct transfer of property arises because of the current thirty month look-back period. Some types of Medi-Cal pre-planning are done under the assumption that you won’t need nursing home care for at least another thirty months, but we all know that life can be unpredictable. What if Anne decides to give $300,000 to John, hoping to beat the current thirty month look-back period, but two years later she gets sick and needs to go into a nursing home? As we have seen, Medi-Cal currently applies penalties to most transfers that are made within thirty month of applying for benefits. This thirty month window is known as the look-back period. The value of the transfers made during the look-back period determines a Medi-Cal recipient’s penalty period – the length of time after otherwise qualifying for benefits that the recipient will have to pay for his or her own nursing home care before the recipient will begin to receive Medi-Cal benefits. Think of the thirty month look-back period like a basket. When you apply for Medi-Cal, every transfer you’ve made (with a few exceptions) within the past thirty months is put into the basket. Then, the state Medi-Cal agency looks at the value of each transfer in the basket and totals the values. This total is divided by the average monthly cost of nursing home care to determine the penalty period. A Medi-Cal Income-Only Trust can dramatically shorten the penalty period. When you transfer assets into this trust, the state Medi-Cal agency still sees a transfer in the look-back basket for a penalty period. However, because the assets are held by an irrevocable trust, the value of the assets is divided into two categories: the remainder interest and the retained life interest. The number that counts for Medi-Cal look-back purposes is only the remainder interest. It is calculated according to a government formula based on your age at the time of the transfer. Often, parents own income-earning assets, such as bonds or certificates of deposit that they want to transfer to their child as part of a Medi-Cal pre-planning strategy. One disadvantage of making a direct transfer is that, once the transfer is made, the asset belongs to the child and the child becomes responsible for paying income tax on the asset. When the parent is retired and the child is still working, the child is likely to be in a higher income tax bracket. This is not a good strategy. Making a direct transfer creates another potential tax issue. If the value of the assets transferred exceeds $14,000 in 2016, the IRS requires the person making the transfer to file a gift tax return. Under federal gift tax law, you are permitted to give away up to $15,000 per year, per person to an unlimited number of individuals without filing a gift tax return. In 2018, if you give more than $15,000 within one year to any individual, you are required to report the amount of the gift by filing a gift tax return. If you exceed your lifetime gift tax exemption (an amount set by Congress that can vary from year to year), you may be required to pay a gift tax. When you transfer assets into a Medi-Cal Income-Only Trust, the IRS considers the gift incomplete for gift tax purposes. Therefore, you do not need to file a gift tax return, nor do you need to worry about paying gift taxes on the transfer. Basis is the starting value from which the IRS calculates a seller’s capital gains tax. On the other hand, if Anne transfers the home into a Medi-Cal Income-Only Trust and designates John as the beneficiary, he will receive a step-up in basis at Anne’s death. This means that John’s basis in the property would be the value of the property on the date of Anne’s death. Imagine the value of the property at Anne’s death is $350,000. 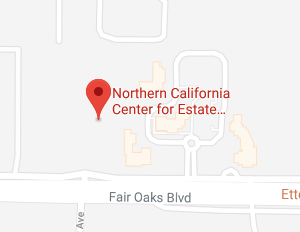 If Anne chose to use a Medi-Cal Income-Only Trust, then John’s basis in the property would be $350,000 rather than Anne’s original basis of $150,000. If he chooses to sell the property right away, he will not pay capital gains tax on the transaction. However, after a Medi-Cal recipient’s spouse dies, and assuming the recipient does not leave behind a blind or disabled child or a child under the age of 21, the state Medi-Cal agency begins its recovery efforts. Once again looking at the example of Anne and John, imagine that Anne transferred her $300,000, including her home, into a Medi-Cal Income-Only Trust, with John as the beneficiary. She remained healthy for six years, making it well beyond the look-back period. Then, she became ill and needed to go into a nursing home. Anne qualified for Medi-Cal and spent several years in the nursing home. When she passed away, Medi-Cal had paid a total of $400,000 in nursing home bills on Anne’s behalf. Now, it is time for the state Medi-Cal agency to attempt to recover from Anne’s estate. The $300,000 Anne transferred into the trust has been sitting there, untouched, all these years. Because the Medi-Cal Income-Only Trust is an irrevocable trust and follows all the appropriate rules, it is not part of Anne’s estate for Medi-Cal purposes. Therefore, it is not an asset the state Medi-Cal agency can take in repayment of Anne’s nursing home bills. The property in the trust goes to John rather than being paid to the state. For married couples who know which spouse will need nursing home care in the future, the right to income can be tailored so that it is retained by the healthy spouse. This avoids a situation where trust income is paid to the spouse in the nursing home, who must then surrender most of that income to pay for his or her care. Your home (up to certain equity limits) is an exempt asset for Medi-Cal qualification purposes. However, it is often the item of property targeted by state Medi-Cal agencies for asset recovery efforts after a Medi-Cal recipient dies. Transferring your home to a Medi-Cal Income-Only Trust can protect it and preserve it, allowing you to pass it on to your beneficiaries. Your estate planning and elder law attorney can help you use a Medi-Cal Income-Only Trust in combination with other Medi-Cal planning strategies to help you make the transition to nursing home care as financially pain-free as possible. For example, if the look-back period is a concern, your attorney can help you set aside a portion of your resources to buy a special Medi-Cal-qualified immediate annuity to help you fund the cost of nursing home care during any penalty period you might encounter. The focus of this guide has been on planning for nursing home and long-term care as far in advance as possible, and where Medi-Cal benefits are concerned, this is the best approach to take. However, it is important to remember that it’s also never too late to plan. There is another type of Medi-Cal planning called crisis planning. It focuses on people who are facing an immediate need for nursing home care. Even if you, your spouse, or your parent is already in a nursing home, it pays to talk to an experienced estate planning and elder law attorney. He or she may be able to help you qualify for Medi-Cal benefits while preserving at least a portion of your savings for yourself and your family. No matter where you are in the planning process, remember that Medi-Cal planning is a complex topic. The rules are complicated, they change frequently, and they vary from state to state. The strategies that work for one family might not work for another. That’s why it is important that you find a trusted attorney to guide you – one with proven experience in Medi-Cal planning. From there, he or she can help you navigate the rules and make sure you have the best possible plan in place.